Remember your first Apple Computer? Mine was a Mac LC. To Mac purists I may have been late to the party, but I made up for it with the number of computers purchased since then– and hoarded: the Quadra, the 20th Anniversary Mac, pretty much every pro model since the LC. I consider our relationship a two way street- for the number of converts I helped the company acquire over the years, we’re square. They repaid me with the increase in stock price since I purchased it in the 90s. 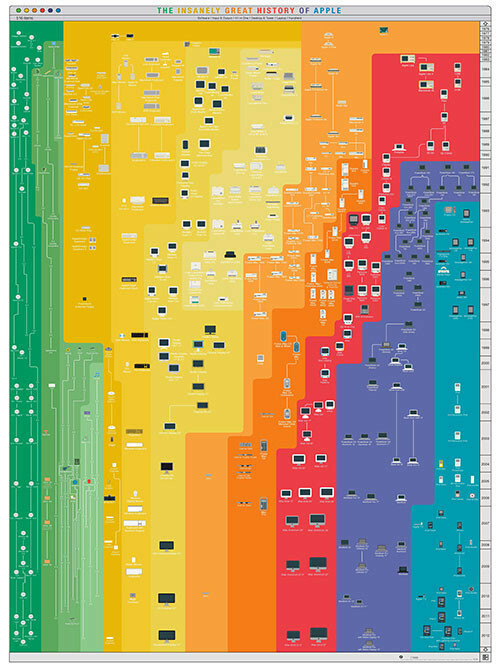 And I remember my dad saying Apple wouldn’t last- ‘the business world uses PCs,’ he would say. Guess who’s having the last laugh on that one? 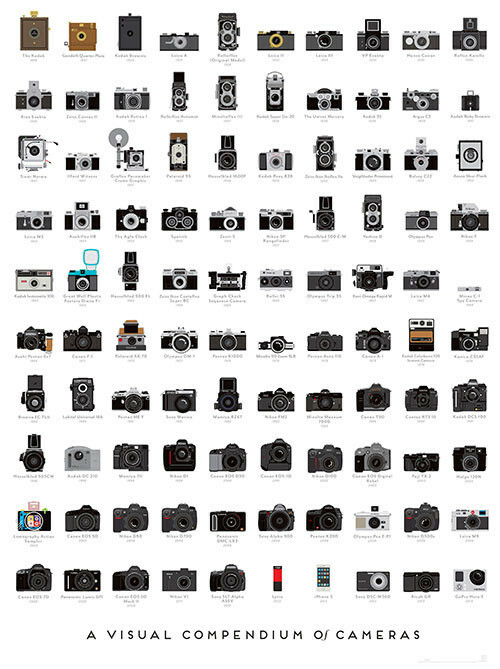 But I digress… why the stroll down technology memory lane? 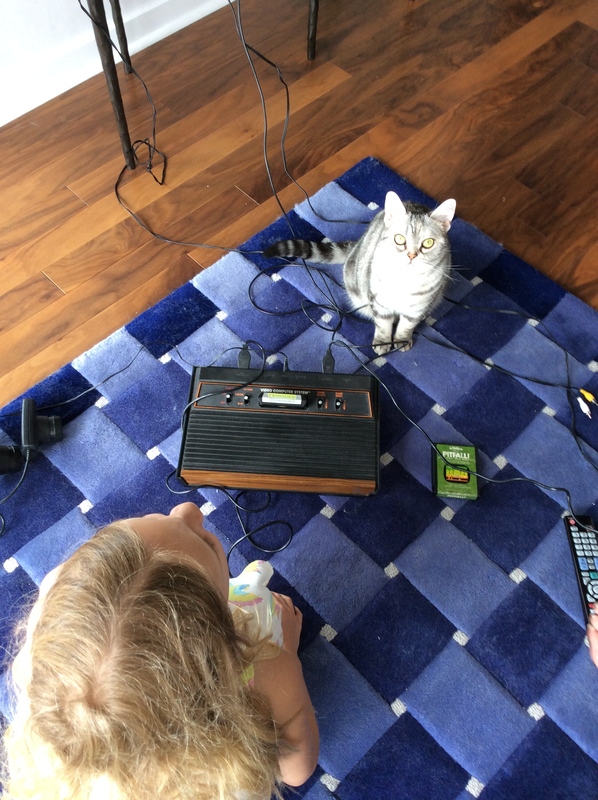 My daughter found my old Atari 2600, so I took advantage of the discovery and introduced her to old school technology. Go antiquing if you must, so you have some to share- an old typewriter, an old computer, a walkman or even better, an original Atari! The excitement! “Daddy, we have Ms PacMan if you want to play it!” The plug-in and console explanation alone are a history lesson- the antenna connection, the TV Type- color or B&W, inputting the cartridge. 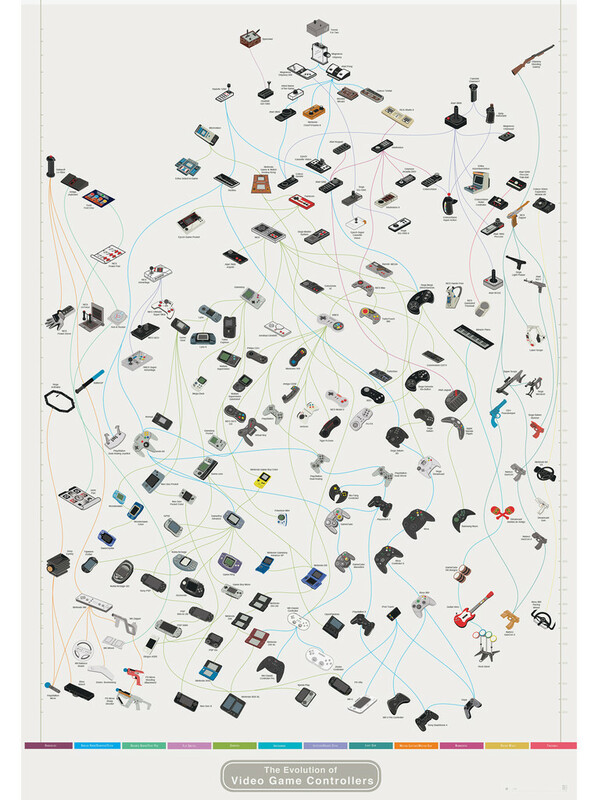 What’s a cartridge? 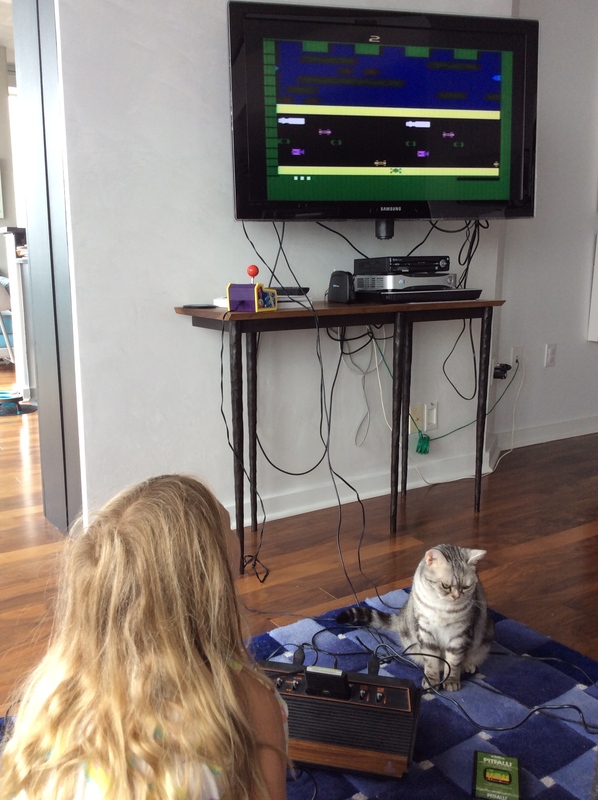 My daughter liked the simple ones best- Break-Out, Ms. PacMan. The cat liked the maze of cords and the bouncing ball. 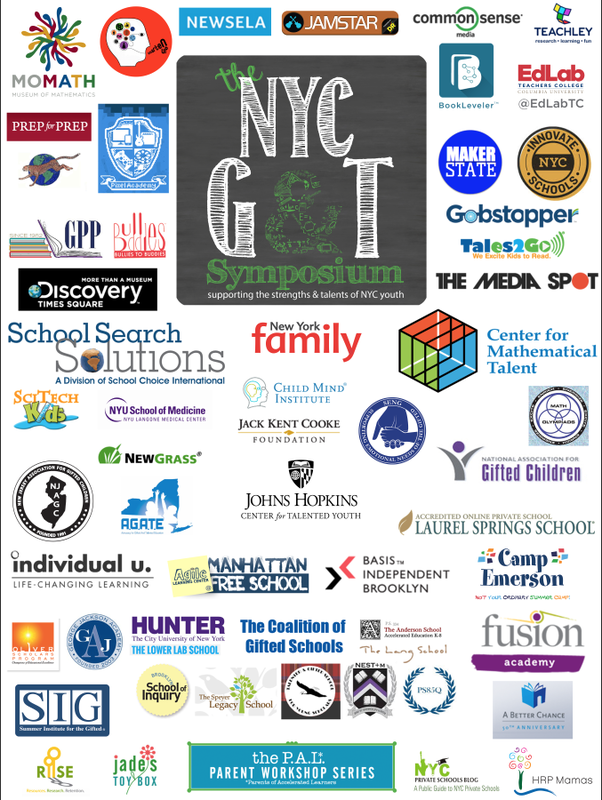 Imagine all the potential connections from a simple morning of old school screen time: programming and coding, electronics history, the Jobs & Gates biographies, lessons in perseverance, entrepreneurship stories, Minecraft and iPad game comparisons and so much more. 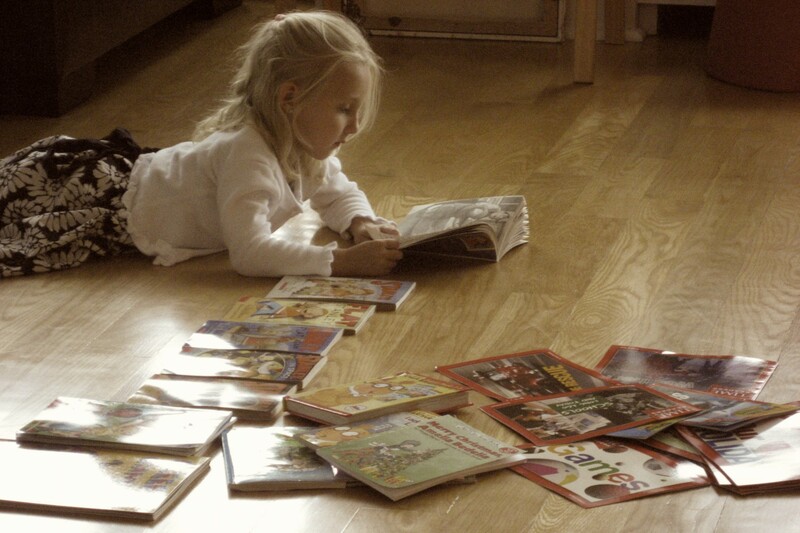 It’s another example of good screen time. 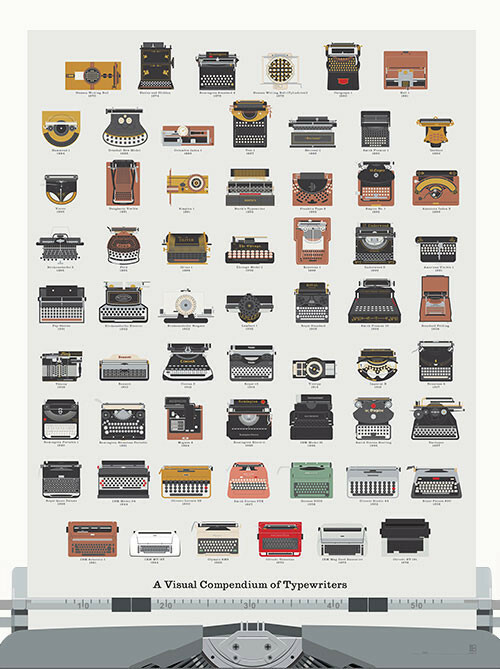 If you’re a design and tech junkie like I am, check out these unique posters for inspiration.